Shimoda is a resort town on the Izu peninsula about 180km from Tokyo with some of the most beautiful beaches, we have found in Japan so far. 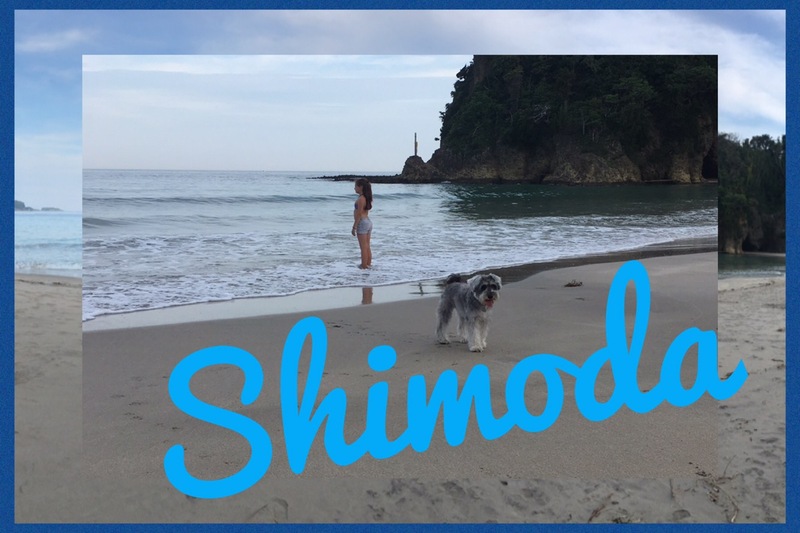 We have visited Shimoda five times so far, and we are not the only “gaijins” to do it! Shimoda as a town has an interesting history. It was here that Commodore Perry negotiated the opening of the Japanese ports to foreign trade (read American) and signed the Convention of Kanagawa treaty on 31 March 1854. America opened their first consulate in Japan at Gyokusen-ji temple and trade agreements with Imperial Russia were also negotiated here. 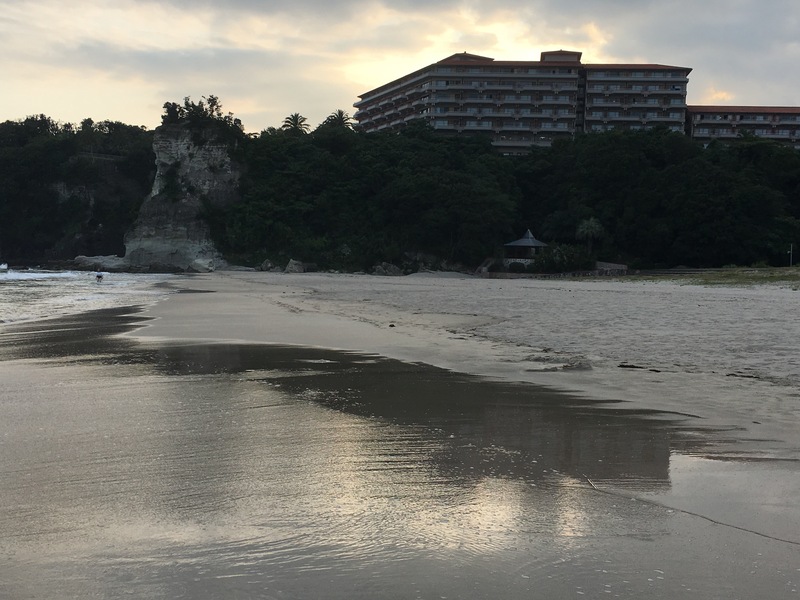 Today, Shimoda’s economy is based primarily on tourism (hot springs and beach) and commercial fishing. 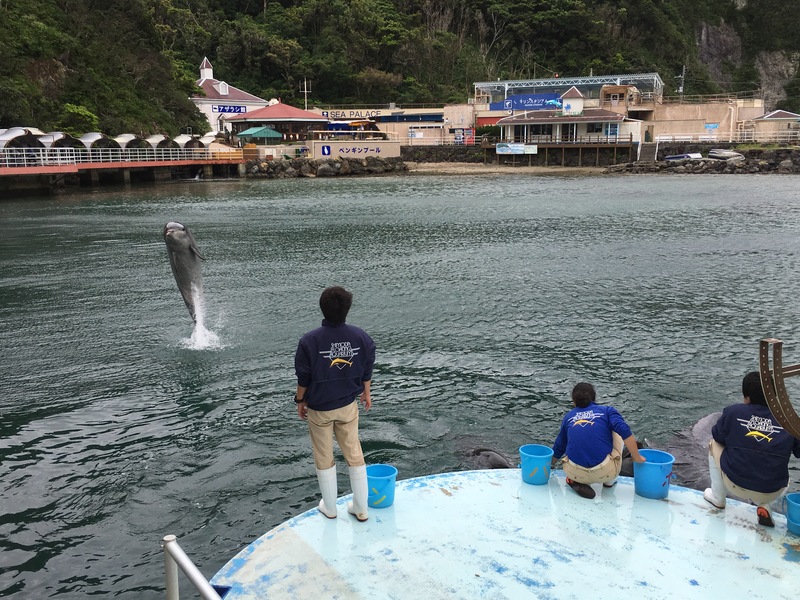 As a tourist, there are a fair few options to enjoy when visiting Shimoda. The beaches are our primary pull when we come to visit Shimoda as they are just beautiful. The sea is a pleasant temperature and the sands almost white. There are a few options to visit- we mainly visit at Ohama beach, only because it is walking distance from where we’ve stayed. Tatadohama and Iritahama beaches are also very popular, with Iritahama being voted the most beautiful Japanese beach for a number of years. Iritahama beach is the primary surfing beach and Tatadohama is ideal as a family beach. Surfing is a popular past time here and there are a number of surf schools available, should you wish to learn. Should you need a break from the beach- there are other sight seeing options. Within walking distance from the station is the ropeway up to Mount Nesugatat. This park has some beautiful gardens and an even more specatular view of the town and bay. On a clear day, you can even see some of the Izu Islands. A return ticket costs Y1030 for an adult and the cablecar runs every 15 minutes. Back in town, you can take a walk along Perry street, where the buildings have fascinating criss-cross facades, explore the temple, the museum or spend a few hours at the aquarium. The aquarium is unique to others I have visited as part of it is floating on a pontoon and the cove has been cordoned off and the dolphins swim freely in the cove. There were plenty of demonstrations at the various tanks, so wonderful opportunities to learn about the various animals. (Should you speak Japanese) That said, we still enjoyed a wonderful couple of hours there. 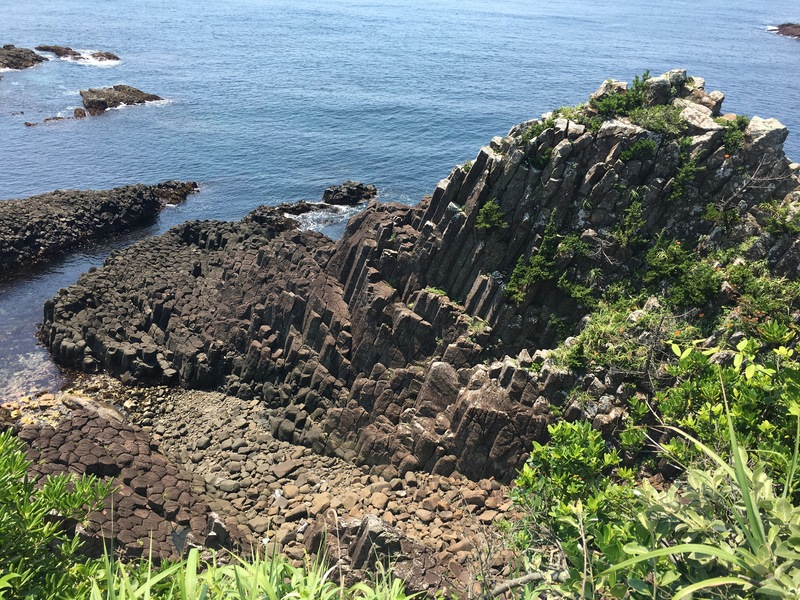 The Izu Peninsula is a certified National Geopark* and has a few Geosites** around Shimoda. On the south east peninsular there are some fascinating rock formations. Like Giants Causeway in Northern Ireland, these giant columnar joints have been created by cooling lava. There is a viewpoint which is a 10 minute walk from the car park. I believe it’s possible to head onto Tawaraiso beach where they’re are, but the path from our viewpoint was blocked off, and with temperatures over 33 deg c, my children and dog were not intending on doing any further walking- even if it had a potential beach at the end! Still the viewpoint was impressive! Heading westwards, past White Beach hotel are another two Geosites. Here you’ll find a spectacular spot to go sand surfing (bring your own board) and Ryugukutsu cave is just stunning. From above, the cave has a heart shape, but from inside it is a beautiful round. The recommendation is that you leave either at lunchtime, or after 6pm if you’re planning to drive back. Sure wished I had followed that advice. Also, not matter how tempting it is- DON’T leave the Expressway to find an alternative route!! *A geopark is a nature park that features sites that show the Earth’s activity. 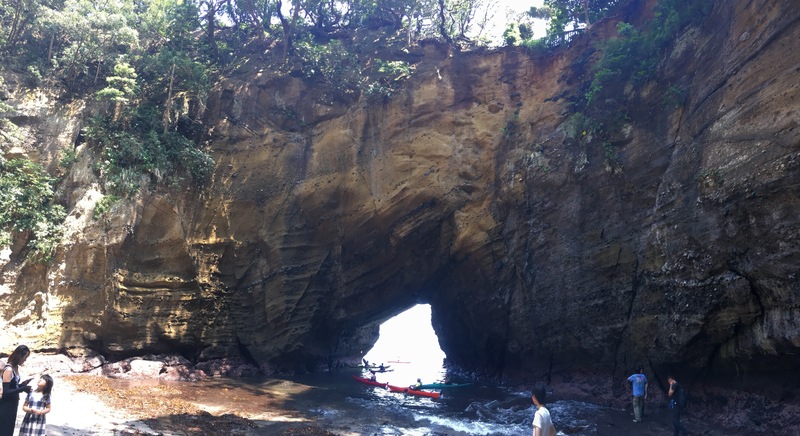 This entry was posted in Good days, Japan, Travel and tagged best beaches, Izu penninsula, Japanese beaches, Shimoda, Shizouka. Bookmark the permalink.